Towed hydrophone arrays provide good spatial coverage, but only a snapshot in time of a species’ occurrence in a particular area, and are required when using Passive Acoustic Monitoring for real-time mitigation during industrial activities. OSC can cater for all your Passive Acoustic Monitoring needs. Please refer to C-POD & T-POD click detectors for further information on static Passive Acoustic Monitoring. Do I Need Passive Acoustic Monitoring? Defence (e.g. Low Frequency Active SONAR, LFAS, Mid-frequency Active SONAR, MFAS). 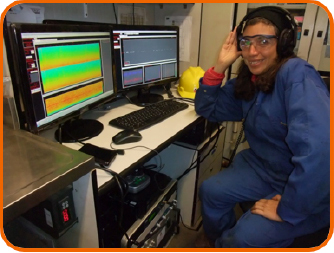 All OSC Passive Acoustic Monitoring Operators are insured and hold the full complement of offshore training certifications and medicals for work worldwide (listed here). Where possible, OSC use full time members of staff, all of which are highly qualified scientific degree-level scientists that have attended rigorous in-house Passive Acoustic Monitoring training courses. 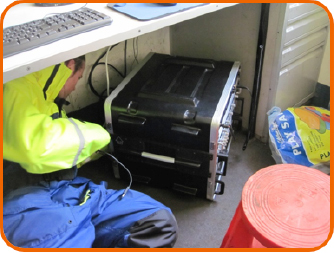 All Passive Acoustic Monitoring Operators have an in-depth knowledge of industry guidelines, are experienced in implementing them in real-life situations offshore. OSC Passive Acoustic Monitoring Operators are familiar with a variety of Passive Acoustic Monitoring systems and adept at working alongside vessel crews to determine a method of hydrophone deployment that all personnel are happy with and that minimises the chance of damage to, or loss of equipment. Should any problems arise, experience and familiarisation with equipment means OSC Passive Acoustic Monitoring Operators are able to deal with all issues quickly and efficiently, reducing operational downtime. They also benefit from 24 hour a day support from on land experts. Bureau of Ocean Energy Management (BOEM) & Bureau of Safety & Environmental Enforcement (BSEE). All OSC’s Passive Acoustic Monitoring systems are serviced and tested by in-house Passive Acoustic Monitoring technicians on return from every contract. 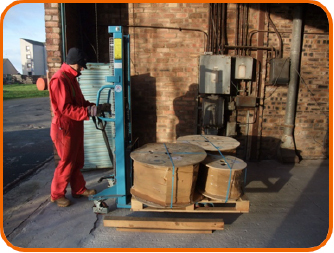 Stored in our warehouse, our systems are ready for mobilisation instantly, so we can meet last minute requests from the industry. 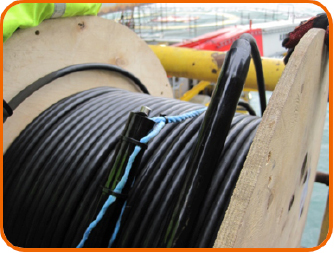 Equipment set-up and deployment is straight forward, and detailed instructions are supplied with every system, which ensures a timely deployment by all PAM Operators, regardless of experience. OSC Passive Acoustic Monitoring systems are robust, durable and supplied with 100% redundancy. All parts can be switched quickly and easily, which minimises operational down time. All OSC systems come equipped with the latest version of the industry standard software, PAMGuard (www.pamguard.org). They have a proven track record and have detected marine mammals (whales, dolphins & porpoises) in the field during industrial operations. OSC Passive Acoustic Monitoring systems are charged on a highly competitive (and negotiable) day rate. Full details and specifications can be supplied on request.